October 1, 2018, Frederick, MD – Patriot Technologies, Inc. a fast-growing Frederick, MD-based secure IT services and solutions small business, recently announced the completion of its acquisition of ClearComm Technologies, (CCT) a Salisbury, MD-based RF Component Design and Manufacturing company. The merger supports Patriot’s forward-looking move to provide solutions for the Network Providers – Improving Accessibility, Service Quality and Reducing Interference from other Carriers. ClearComm offers a broad range of Carrier-Approved RF Filtering and Combining solutions to provide connectivity with next generation networks. ClearComm’s long history with Tier 1 carriers includes legacy products in 3G, 4G and 5G systems. 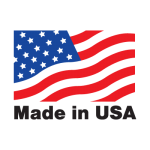 Products for critical FirstNet, Public Safety, First Responder networks are offered and are proudly manufactured in the United States. Patriot Technologies, Inc. is a Maryland-based small business that provides responsive and secure, tailored hardware and software solutions to our global commercial, Federal, and Defense customers based on a thorough understanding of their business environment, market developments, and organizational goals. Headquartered in Frederick, MD, Patriot is privately held and maintains a 40,000 sq. ft., multi-use facility with secure storage, warehouse, office, and laboratory space and an ESD-protected assembly room. Products include: command consoles, rapid deployment cloud platforms, maritime tablets, and high-density computer servers, as well as full-motion video receivers and distributed antenna system components. Secure solutions include: Network-as-a-Service, Industrial control systems, mobile devices and networks, and specialized hardware. Patriot also provides Manufacturing and Logistics services, product sourcing, and specialty RF engineering.